It may a bad news for those who watching ABS satellite free-to-air TV channels because The Ministry of Broadcasting and Information (MIB) has requested the Department of Space (DoS) to block Asia broadcast Satellite (ABS)’s signals in India. ABS2 satellite beaming ku-band free TV signals in India at 74.9 degree east without licence from the ministry. ABS2 added many popular free-to-air Indian TV channels on its platform, as per official website of Asia broadcast Satellite there is no information about subscription and its DTH service. Rajyavardhan Singh Rathore said in the Lok Sabha that Keeping in view the national security angle, the MIB requested DoS to block the signals of ABS, which is beaming in India. 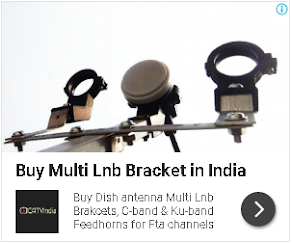 There are the only 7 (Dish, TataSky, Reliance, Videocon d2h, Sun Direct, Airtel and DD Freedish) DTH platforms in India which are permitted to transmit TVchannels into India. 1. how to know that my set top box is either ABS freedish or DD free 2 air? 2. will be broadcasting of free 2 air is going to be shut down by the end of year or its a rumour?